Hello Ladies, I hope you've all had a great weekend and aren't dreading Monday too much! I'm still at home looking after the cats while my Mum and Dad are away so it's pretty boring but they are definitely keeping me on my toes! 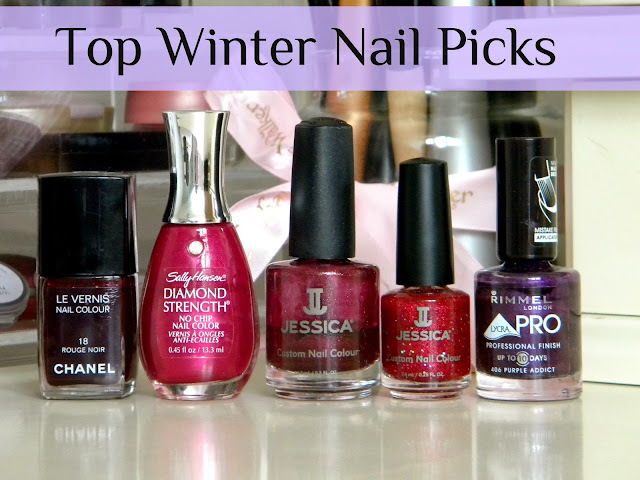 Now that it's officially Winter, I thought I would share with you all my top nail polish picks for the season. 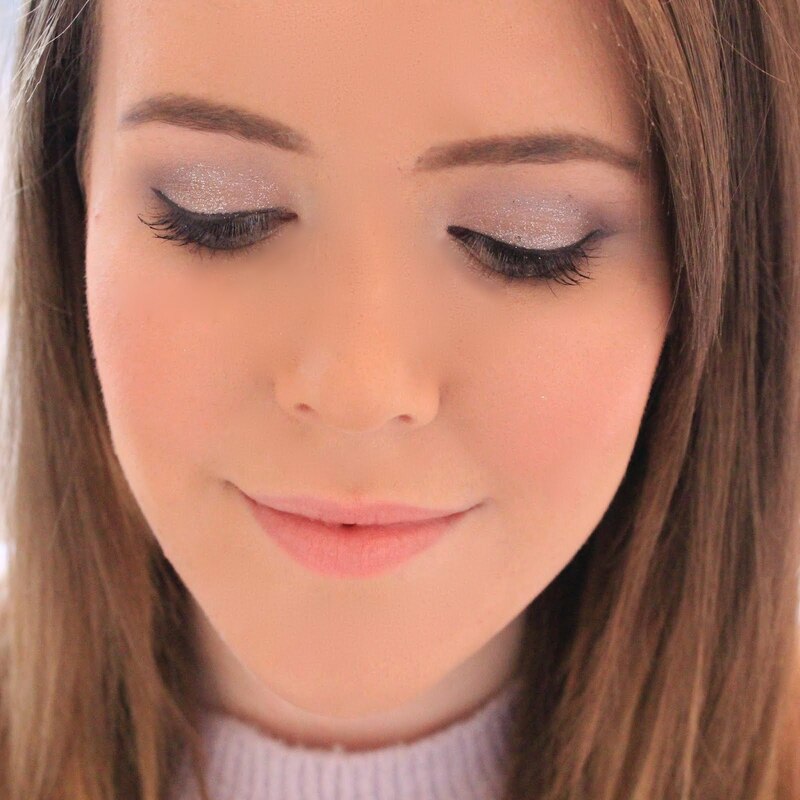 In winter, I love wearing darker colours as I never really feel like wearing a bright coral colour when it's so grey outside! 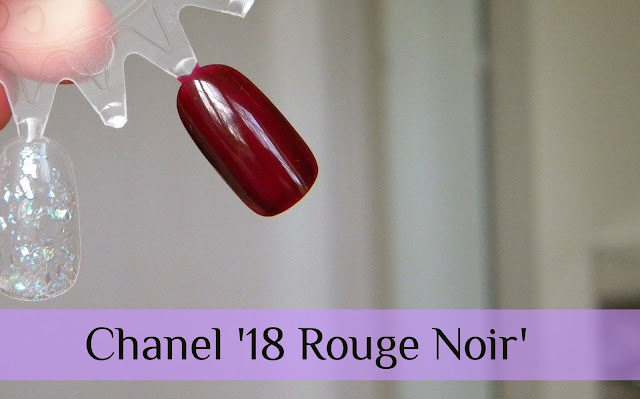 My favourite polish for this time of year is this Chanel '18 Rouge Noir', its a very deep red with a hint of brown and looks amazing with any skin tone. I think its perfect for this time of year and also looks great on your toes. I'm even wearing this polish as I type this post, it's love! I also love this Sally Hansen 'Rosy Future' polish. I'm a big lover of pink nail polish but I feel that this colour is slightly more winter appropriate as its a slightly darker shade. This nail polish is so pigmented that you only need one coat to achieve the colour which you can see in the picture and it's also really easy to apply. Another nail polish which I love for winter is Jessica 'Greta'. 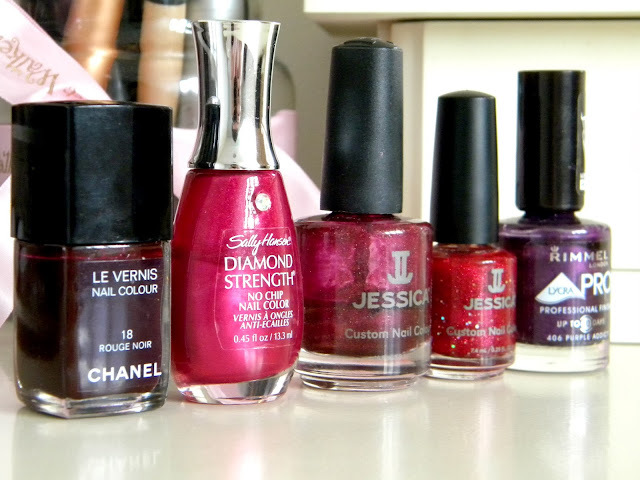 This nail polish is a more pink toned purple, and I love the shimmer which it has. You can't really see this in the photo as it's so fine, but it looks beautiful on. 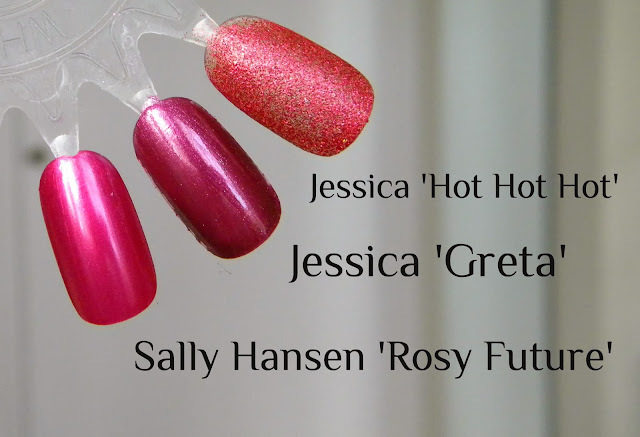 Another more festive nail polish is Jessica 'Hot Hot Hot', a red sparkle with added chunks of silver glitter. I love wearing this around Christmas as I think the red sparkle is so festive! I had to apply a couple of coats to achieve this colour so I would definitely recommend applying this over a plain red colour to get the best colour from it. 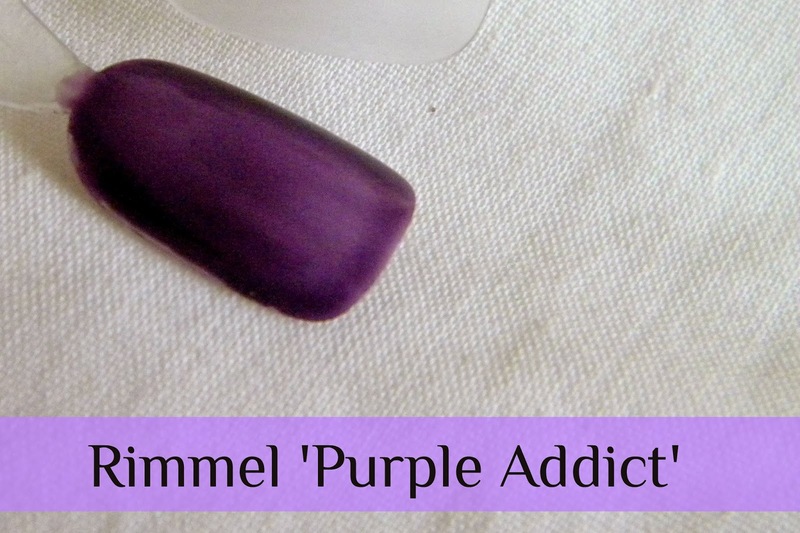 And lastly, I love this purple nail polish from Rimmel. I love the Lycra Pro nail polishes from Rimmel, the brush makes it so easy to apply and get a good coverage. This colour is perfect for this time of year as it's dark enough to be a winter shade but it is also quite bright when applied to your nail so it still looks like you have a good colour on your nails. O my the Chanel rouge noir is so gorgeous ! The Sally Hansen polish is very pretty. Pretty shades. Especially love the Chanel shade. Somehow it manages to look rich and sophisticated even before you read the name of the brand.